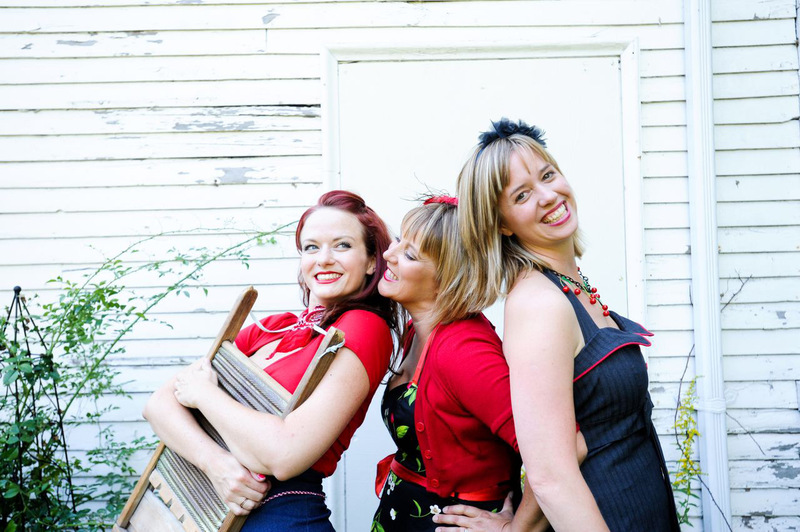 Imagine the Andrew Sisters and the Stanley Brothers having triplets…the result would be none other than these sharp-witted ladies with a 1950’s Nashville sound and killer charm. Bringing a shine to every space they fill with their beautiful blend of country-bluegrass-gospel sounds and extraordinary energy, the Dishes have spent the last five years (often backed by their rhythm section “The Plate Rails”) breaking hearts and soothing souls at clubs, fairs, festivals and events throughout Canada. Presenters love their hard-working attitude and that their down-home music, tight harmonies and sassy style get folks stirred up. From house parties to city squares to opening for Canadian superstars, these ladies always cause a ruckus! !